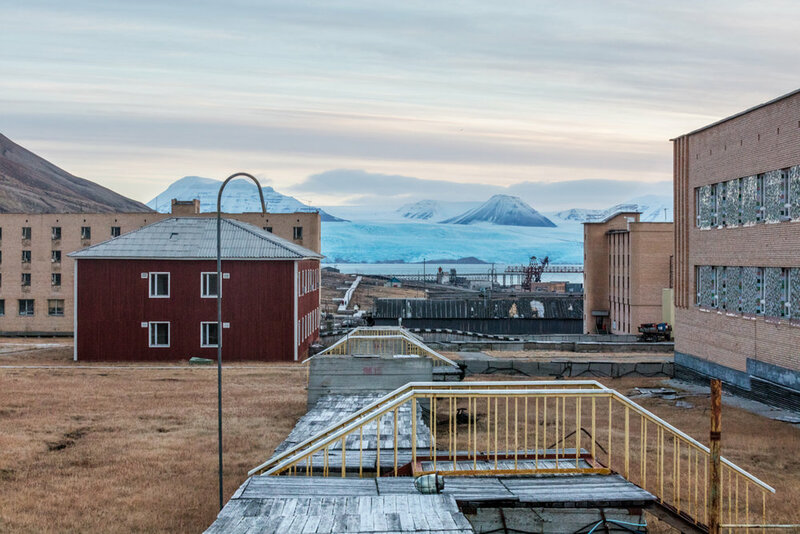 Pyramiden is a Russian mining town on the island of Spitsbergen, Svalbard. 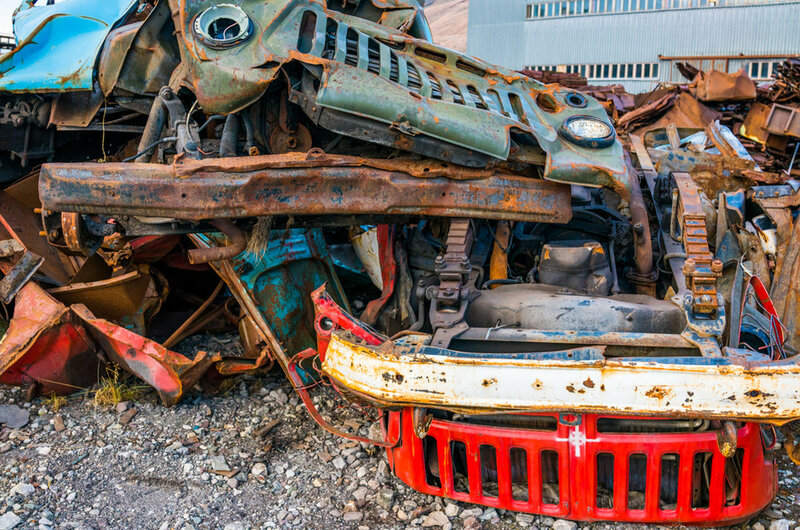 The mines were abruptly shut down and the residents were evacuated over the span of a few weeks in 1998 for reasons that have never been made clear though the most likely culprit was the high cost of mineral extraction from one of the world's northernmost regions. 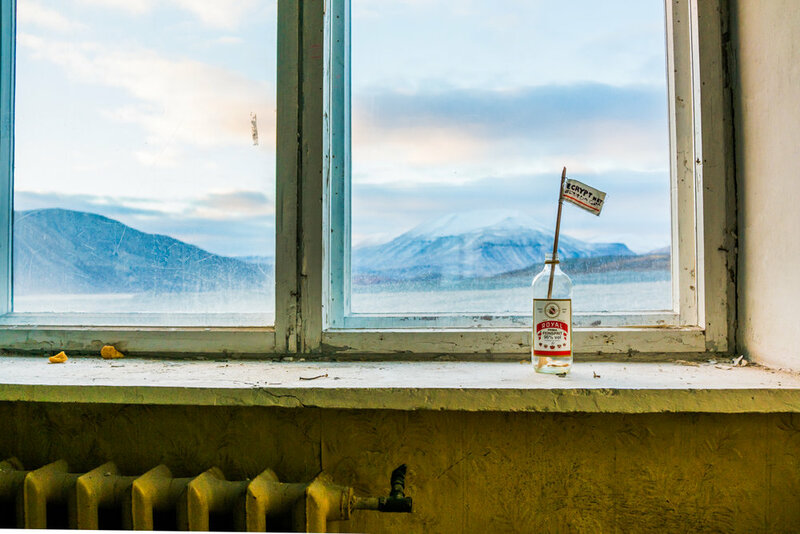 The settlement remained largely abandoned for the next couple of decades and it is still in effect defunct but for a skeleton crew that the mining company has sent in to attempt the restoration of a Soviet Era hotel. When we visited in late October, 2016 there were three people living in the crumbling ruins of the Tulip Hotel--a man named Ivan and his friend whom Ivan introduced as "Tom Cruise," presumably because he was the spitting image of the actor as he appeared long ago on the cusp of adulthood in Risky Business, and "Tom Cruise's" mother. 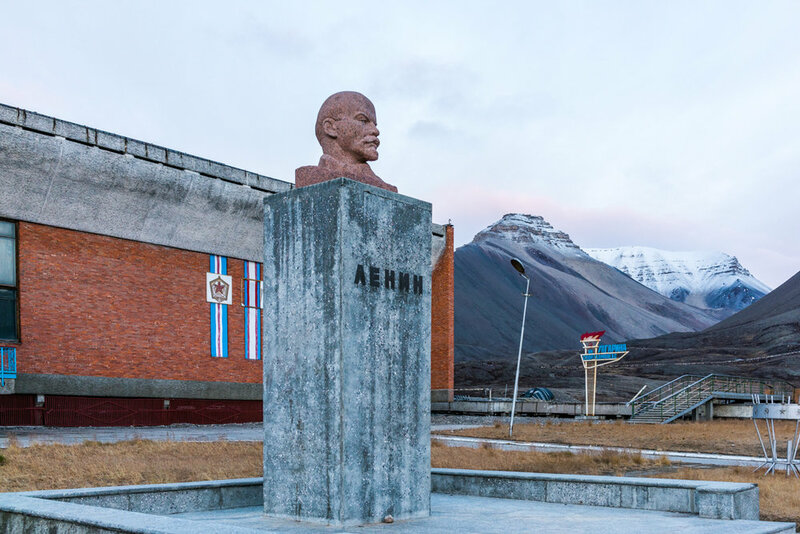 Outside the Cultural Center you can find the northernmost bust of Lenin overlooking the entire town. Inside, you can play the northernmost grand piano--if you can play in the dark. In the library no books remain, though I found a few empty bottles of grain alcohol. In the cinema the floor was awash in film that had been dumped from canisters. In practice rooms musical instruments lay abandoned. There were perfectly potted dead plants everywhere. 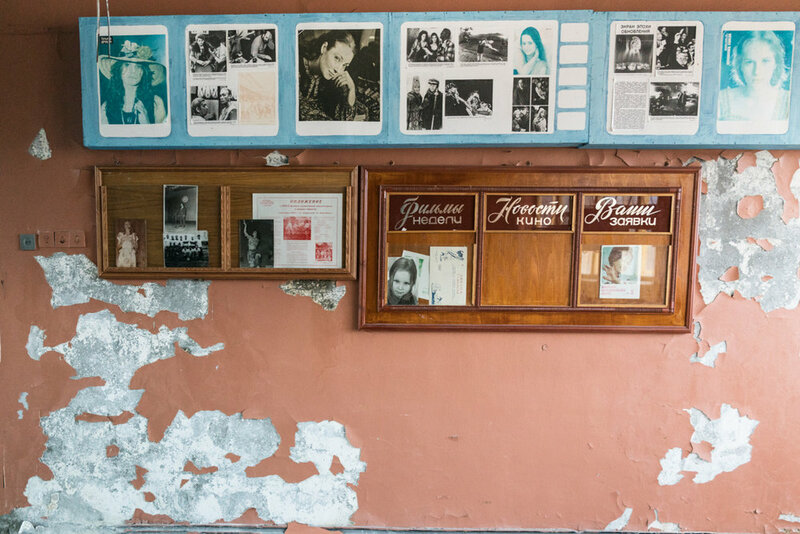 It was disorienting after having been at sea for several weeks in such a wild place to come upon what clearly had been a working community, home to men, women, and children whose drawings were still on the wall of the cultural center and which testified to the optimism and love of the place they called home as drawings made by children living anywhere. 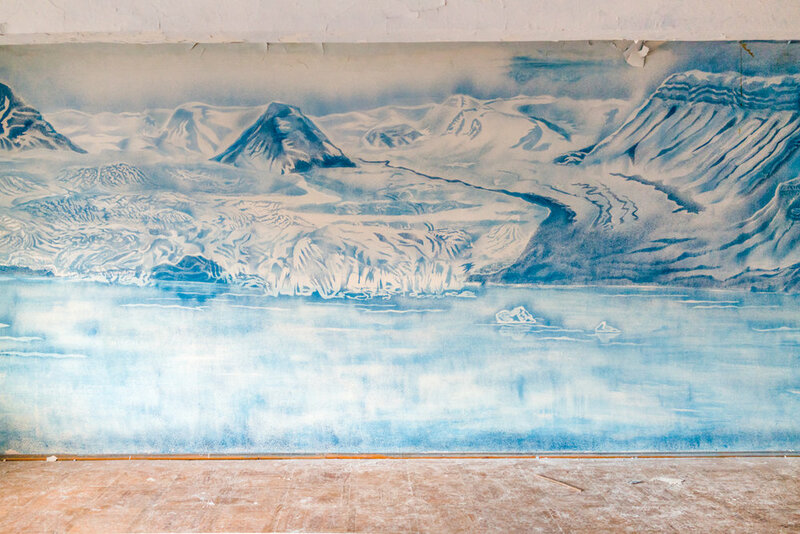 It is illegal to travel outside of Longyearbyen without a loaded rifle simply because the polar bears outnumber human beings on the island so you can't make land in Pyramiden unless you are properly armed and skilled in the art of evading bears. Should you actually happen to shoot a bear it will be investigated as a crime. 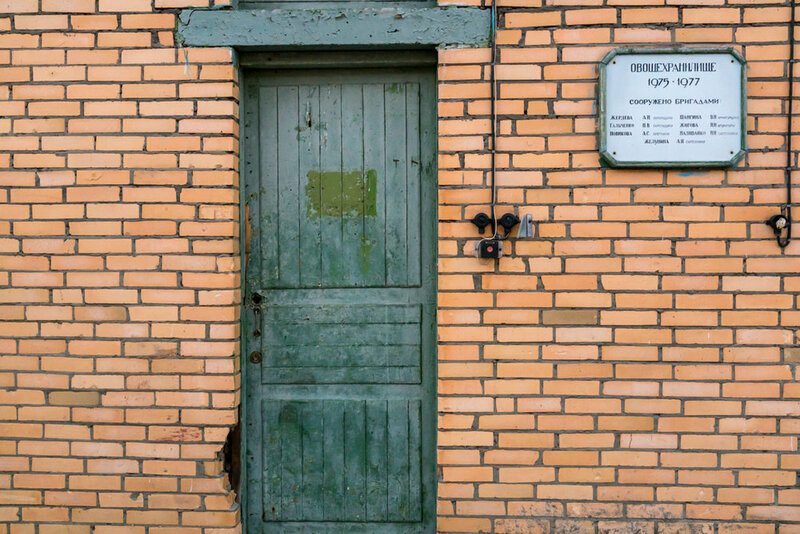 Our five armed guards warned us to be doubly vigilant in Pyramiden because buildings tend to make you less vigilant about predators, but in fact they apparently use the crumbling infrastructure to their own advantage to stalk their prey at close range.